Detective Isaac Bell tracks a killer across the nation's oilfields in this adventure in the #1 New York Times–bestselling historical series. As Van Dorn private detective Isaac Bell strives to land a government contract to investigate John D. Rockefeller's Standard Oil monopoly, the case takes a deadly turn. 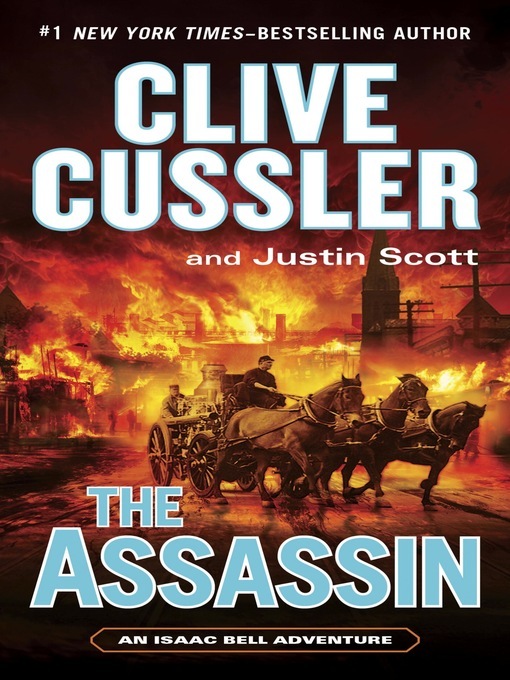 A sniper begins murdering opponents of Standard Oil, and soon the assassin—shooting with extraordinary accuracy at seemingly impossible long range—kills Bell's best witness. Then the shooter detonates a terrible explosion that sets the victim's independent refinery ablaze. Bell summons his best detectives to hunt down the mysterious killer. But the murders—shootings, poisonings, staged accidents—have just begun as Bell tracks his phantom-like criminal adversary from the "oil fever" regions of Kansas and Texas to Washington, D.C., to the tycoons' enclave of New York, to Russia's war-torn Baku oil fields on the Caspian Sea, and back to America for a final, desperate confrontation. And this one will be the most explosive of all.